Proper intake of vitamins and minerals is crucial to optimal health. 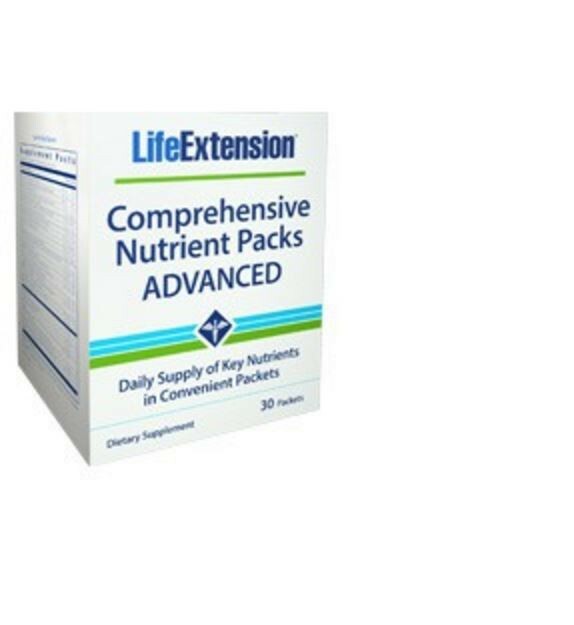 Eating enough food to ensure that the body gets all required nutrients on a daily basis is very difficult, which makes multi-nutrient supplementation a great alternative. 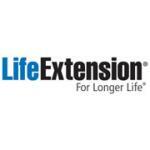 Life Extension has combined several supplements to provide a strong foundation for health and longevity. These top recommendations are offered in a convenient single-serve packet. Other ingredients: highly refined fish oil concentrate (Alaska Pollock), gelatin, glycerin, purified water, silica, maltodextrin, natural lemon flavor, caramel color, sunflower lecithin, mixed tocopherols, rosemary extract. 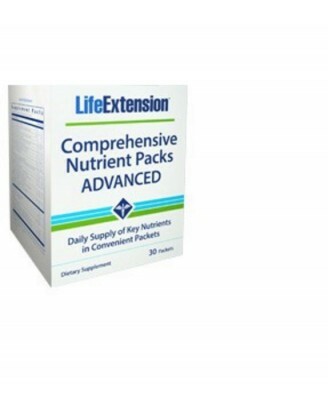 Life Extension's Two-Per-Day multivitamin now contains nicotinamid riboside which has been shown to support mitochondrial health. The formula includes biotin to help maintain healthy blood sugar levels, lycopene, one of the most effective antioxidants and lutein, a carotenoid known to be beneficial to eye health. With high amounts of folic acid, vitamin D3, zinc, lycopene, lutein, chromium, selenium and B-complex vitamins, Two Per Day can stand up to any multivitamin product on the market. Super Omega-3 EPA/DHA is a 5-star IFOS-rated fish oil, produced using a patented extraction and purification process. This process increases stability and helps to keep heavy metals and contaminants below CRN levels. It also preserves the delicate omega-3 long-chain fatty acids from the degrading effects of oxidation and peroxidation (rancidity). No other fish oil product provides the health-promoting benefits of the nutrients from fish, olives and sesame seeds. It also contains the most complete olive polyphenol extract available. Once Daily Health Booster is a one-per-day softgel that provides optimal amounts of fat-soluble vitamins, carotenoids, and other nutrients required by maturing individuals. It contains high doses of the most effective form of vitamin K, menaquinone-7, as well as vitamins B12, C, E, K1 and K2, chlorophyllin, lycopene and sesame seed lignan extract. MacuGuard® with zeaxanthin, meso-zeaxanthin, and lutein is included to support eye health, macular density and healthy vision. Super Ubiquinol CoQ10 with Enhanced Mitochondrial Support. Coenzyme Q10 plays a central role in energy metabolism. Ubiquinol has a greater bioavailability than the ubiquinone form of CoQ10 used in many traditional supplements. This formulation contains a synergistic ingredient called PrimaVie® shilajit that, according to research, doubles levels of CoQ10 in the mitochondria. Super Bio-Curcumin. Curcumin has remarkable health benefits including antioxidative, hepatoprotective, immunomodulatory, antiangiogenic and proapoptotic properties. Super Bio-Curcumin® absorbs much better into the bloodstream than conventional curcumin. Studies show that the potency of 400 mg capsule a day of this turmeric compound equals that of ingesting 2.500 - 2.800 mg of commercial curcumin supplements. Take one (1) packet daily with a meal, or as recommended by a healthcare practitioner.